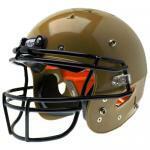 Football helmets are the most important piece of equipment for youth participants. 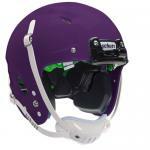 It is essential that they they fit correctly and are paired with the proper facemask and shoulder pads to ensure the optimal protection, vision and flexibility. 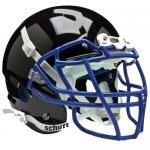 We offer the full line of Schutt youth football helmets starting with the Youth DNA Rrecruit helmet, the best selling youth helmet in the industry. It contains a combination of D30 and TPU padding whch provide excellent protection at a very reasonable price. It is available from size 2xs to xl, so it will fit all age participants from 5-14 years old (mighty mite pop warner through junior high school). We offer excellent team pricing for quantity purchases. We move onto the Vengeance Hybrid and the Vengeance Hybrid Plus. The latter comes with similar padding as the Recruit Hybrid but includes 2 inflatable bladders for extra protection. As concern over head injuries has grown, we have seen a marked increase in sales of this product. 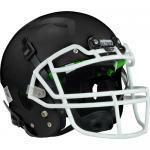 Finally we offer Youth Air XP's and Youth DCT Helmets as our top of the line entries in the youth helmet category. As we sell these helmets daily in our retail store, we are extremely knowledgeable regarding their assets. Please call us and and a great customer service rep will guide you in making your purchase.